Super Mum I love you. Need a Mum gift idea? 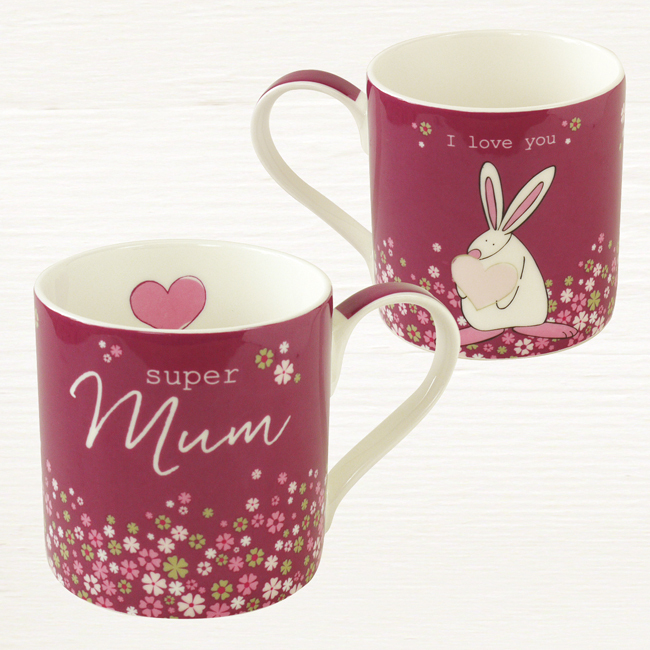 We are delighted to say our Super Mum gift mug has arrived at Bunny HQ and looks really rather nice. We think this is a lovely way to treat the important people in a little one’s life. 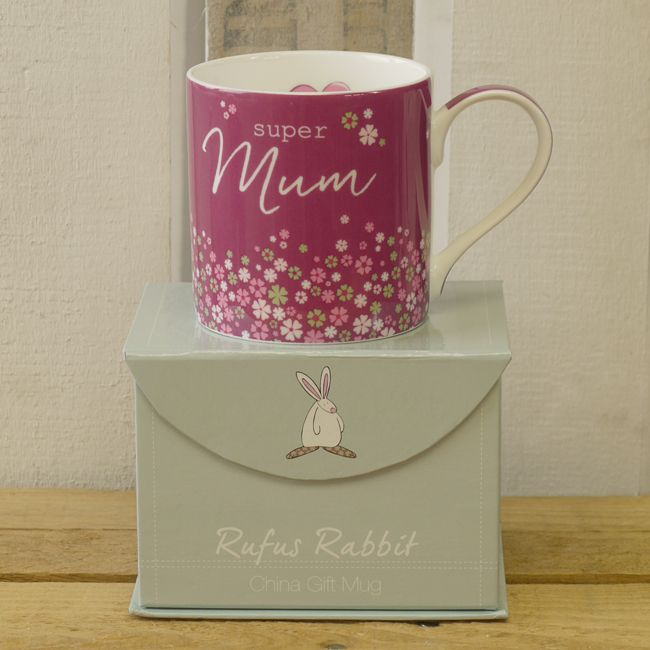 Each Rufus Rabbit mug arrives in their own bespoke, magnetic closing gift box ensuring they can be transported safely to the kitchen cupboard, office desk or garden shed! There they will carry out their “holding something hot” role with the utmost professionalism and care. 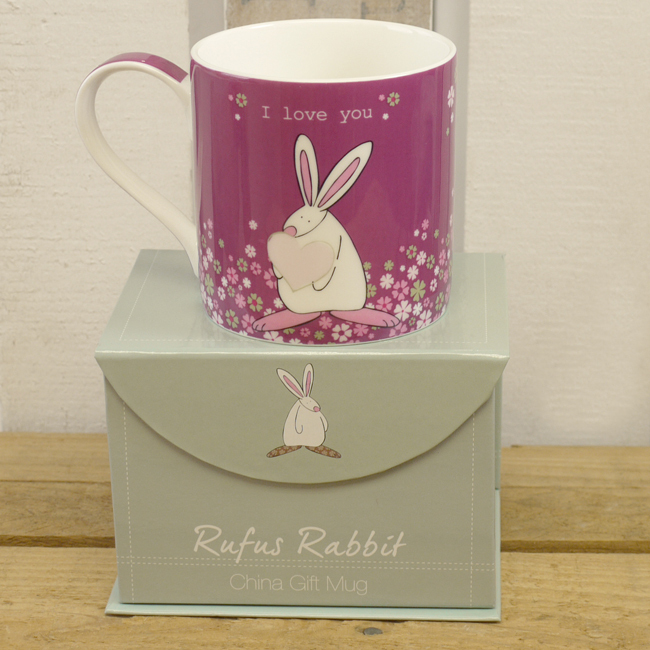 Ultimately the aim of any Rufus gift mug is to make the owner feel loved & special every time they use it. Rufus’ top tip of the day would be to fill this Super Mum mug with her favourite treats. A simple idea guaranteed to make her smile last a little longer!